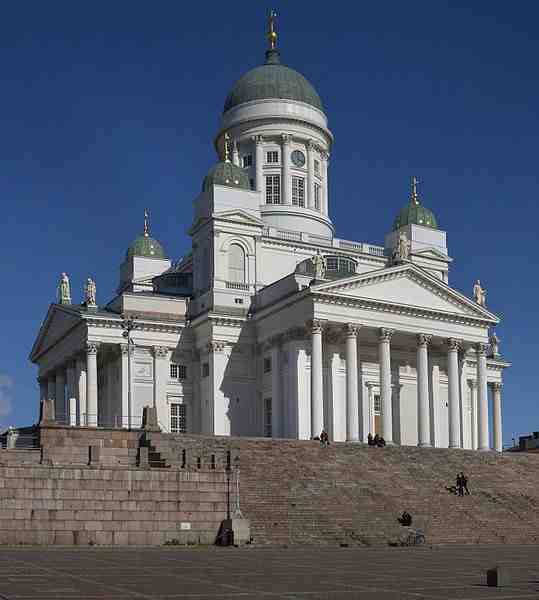 For whom was Helsinki Cathedral originally built ? Helsinki Cathedral was originally built as a tribute to the Grand Duke, Nicholas I, the Tsar of Russia and until the independence of Finland in 1917, it was called St. Nicholas’ Church. It is now an Evangelical Lutheran cathedral of the Diocese of Helsinki. Budget hotel near Torgallmenningen, Bergen, Norway ?